Symantec SSL Certificates are most trusted certificates around the globe and Symantec is being used by world's top websites including banking, financial institutes and large companies. Symantec deals with top online security certificates that make it a powerful brand in SSL industry. Symantec SSL products provide free of cost Norton Secured Seal that helps website to get customer’s trust. Norton Seal is most recognized seal in SSL industry you can place it on the website to assure visitors. Symantec always takes care of customer’s safety therefore; the CA provides NetSure warranty up to $1750K amount in case of any erroneously issuance of SSL certificate. Symantec SSL deals with different validation types and follows rigorous process to verify the business. In case of highest validation, the website address bar turns into green bar when you purchase EV SSL, that proves the website has followed Symantec’s strict validation process. All Symantec products carry 256-bit encryption that encrypts the ongoing information between the server and the browser. Latest encryption standard keeps the website secured from prying eyes and the data remains safe. Symantec vulnerability assessment detects threats, virus and malware and prevents your site from blacklisting in search engines. It lessens threat of malware attack and upsurges integrity of a website. You can schedule vulnerability assessment for daily scanning. 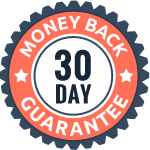 We offer 30 days money back guarantee in case you are not satisfied with the purchase of Symantec SSL certificate. A buyer will get full refund amount within 30 days of purchase date. Symantec Secure Site SSL Certificate is the best buy if you’re looking for perfect protection for data transfers over the websites. It not only features the quintessential SSL certificate but also has Norton Secured Seal which is the most trusted one for malware and threat scanning. With up to 256 bit encryption, full business authentication, RSA and DSA encryption algorithm support and an unfailing 24X7 customer help-desk, it is the best-in-class solution for global enterprises. EV stands for Extended Validation. Symantec Secure Site EV offers an added trust to your customers who do online transactions on your website. This helps in building more trust and reliability in your customers’ minds and in-turn leads to increased web traffic. Symantec Secure Site EV offers Vulnerability Assessment that can daily scan for vulnerability and threat on the website. It supports a 256 bit encryption and supports RSA & DSA encryption algorithms. So if you’re looking for customer satisfaction on your website, go for it! One of the strongest SSL encryption available to most site visitors, the Symantec Secure Site Pro SSL Certificate has a minimum 256 bit encryption, Norton Secured Seal, web malware scanning and vulnerability assessment features. Also, it supports 3 encryption algorithms, offers complete business authentication and an unfaltering customer support system. Its added features include an SSL installation checker, free revoke & replace solution and a warranty of $1,500,000. And that’s only a few benefits of going with Symantec Secure Site Pro SSL Certificates. Symantec Secure Site Pro with EV SSL Certificates is the most trusted and the most secure encryption solution available. With Extended Validation (EV), your customers feel more secure while doing an online transaction on your website. It supports 3 encryption algorithms namely RSA, DSA and ECC in the same SSL certificate. A warranty of $1,750,000 is a value addition offered along with the trusted Norton Seal, Extended Validation green bar and an unhindered customer support experience round-the-clock. Symantec is a giant certificate authority helps their clients by providing effective SSL security. Either it is Organization or EV certificate always stands alone in this cut throat competition. Security is a burning issue for every size of organizations and customers and Symantec SSL manages all the risk by proving a strong encrypted security in an efficient manner. World’s #1 CA works on customer driven policy and able to issue SSL certificates that provide easiness in control, manage and safety. Symantec deals in diversified SSL products, matching with the industry requirements. From Domain Validation to Extended Validation, a range of certificates aims to provide a strong online security with robust encryption without compromising system operation. Why choose Symantec SSL from Cheap SSL Shop? Symantec provides solutions to all types of security needs of your organization whether it is a small or large one. With Symantec SSL certificate, you will not only secure your website against cyber threats and viruses but also you will be able to increase the trust of the customers and hence increase the ROI of your online business. We offer lowest price Symantec SSL certificates with additional discount offers. Symantec SSL follows 256-bit encryption, establishing business identity over the web. Secure Site EV certificate with a green bar is a prominent certificate among online users carries a Green bar providing a trust and authenticity with a robust security for online transactions. Secure Site certificate is a business validation certificate that identifies the business, helping to set up distinctiveness for visitors. Symantec is the world’s largest CA dealing with many products related to security, software, configuration applications, enterprise solutions and a lot more. Symantec is the most trusted SSL Certificate provider in the world. Norton Secured Site Seal ensures customers about the website authenticity and strong security. It is the CA regularly working on up-gradation of and improvement of SSL encryption algorithms. Symantec has recently overtaken large CAs like Geotrust and VeriSign.